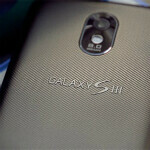 We may not actually have the Samsung Galaxy Nexus just yet, but that doesn't mean the rumor mill can't start spinning up regarding the Samsung Galaxy S III (SGS3) and some fans have even made a teaser for the device just to get the party started. Of course, the key with things like this is in trying to separate out what we'd like to see from what we're likely to see. It's been known for a while that the SGS3 is planned for launch in spring 2012, and will likely be unveiled at CES. Although, an initial launch in spring may not mean much if the global rollout takes as long as it did for the Galaxy S II. Word has it that Samsung is planning to "blow minds" with its offerings in early 2012, and that the devices will be a "big step past the Galaxy Nexus class, in every way." We've seen rumors already that the SGS3 will be powered by a quad-core 1.5 GHz Exynos 4412, and based on current releases it is expected that it will feature Android 4.0 Ice Cream Sandwich along with an HD Super AMOLED screen. The grey area here comes in as to whether or not the screen will be PenTile or use the "Real Stripe" RGB subpixel arrangement and be a Super AMOLED Plus display. No doubt Samsung is working on an HD Super AMOLED Plus display, but there's no word on if it will be ready for the SGS3, or if Samsung would delay the SGS3 to make sure the display was part of the package. There are also rumors that the SGS3 will be one of the first handsets to break the 1 GB of RAM plateau and come with either 1.5 or even 2 GB of RAM, but we'll believe that when we see it. Lastly, it's possible that the phone will feature a 12 MP camera, although we don't really care so much about the megapixel rating. We're much more interested in getting info on the camera sensor and lens capabilities before passing judgement on that. What do you guys think? Is the Galaxy S III going to "blow minds"? Will it have a case made of unicorn horn, and a battery powered by antimatter that will last for 2 full days without charging? Buy a GALAXY NEXUS, when they arrive, or wait until next spring/summer for the next best and greatest phone? Tough choices - choices that ANDROID happily provides. I'm Andy Rubin and I approve this message. It probably won't hit the states until fall, one year after the ii did. There will always be better phones. You can't wait forever! I hate rumors , can't we just wait for the official announcement from Samsung it self , I think it's too early to talk about sgs3 , the glamour of s2 is still shining . Bah silly samsung didn't we hear this kinda talk last year? What you talking about. It has just as good but mostly better hardware than anything out there. Resolution and pixel density, NFC, still great processor. Camera is better than mos but the iPhone, unless u are to concerned with mega pixel. 4.6 inch screen with not much if not bigger at all in side than a 4.3 inch phone with no hardware buttons. The extra charging spots besides USB. It's pretty much the best possible phone hardware that's been tested to work together or one of the best. What else you need. If you can wait than do it but I don't really want to. This phone is good enough and is only phone that works with ics without hardware buttons. I reapply don't care to much if my bionic gets ics because with the hardware buttons being a waste of space along with the onscreen hardware buttons that would equal a small usable screen. Ok...by hardware I just meant CPU and GPU (which i failed to mention earlier)...come on...OMAP 4460 is not fast than exynos running at 1.4GHz. And...one more and important thing...Google has launched next-gen Android with Galaxy Nexus...then why not next-gen Superfast 4core CPU...HD display is awesome...camera...I don't even care...but I do care of fast processing speed...sometime...I attend webex meetings and conference calls at same time...and when feel bored in call...try to listen some music at same time as well...and...I do push my gadgets to limit at times. Well I think everybody around the tech world knows how the rumor mill goes so I'm not going to pay attention to the specs guessing. I think it's pretty obvious that the next phone in the SGS line will be great, though. It definitely has a solid foundation to work off of. 3/6/12, I can defenetly see Motorola and HTC, releasing something, big around that time. Lets just see. But i really do think that Android, specially Samsung and Motorola, with Quad cores, there phones arent going to have many bugs or issues, of course you'll find something, but nothing big. I just hope that another "Epic" or "Evo" with physical keyboard comes to Sprint with the updated specs (dual/quad-core processor, 4in+ 720p screen, and 1GB+ RAM). I love my Epic, with the keyboard...I with you....i want to keep my keybord! o0o, shiny. does anyone know if the quadcore exynos uses the little.BIG configuration like tegra 3? .....and then I jizzed in my pants!! F YOU Samsung...i just got the Nexus! i thought this would be at least July or something...but march really! Lol. Relax, Alantef. This was made by a fan. Nothing true about it. But I did get my GSII in may.